The KO Attack EQ operates on a single 9 volt battery which supplies power to the LM324 quad op-amp that is the sole chip in the effect. "If I were to redo it, I'd certainly improve those PRIMITIVE low pass and high pass filters! Also, what is called the "midrange" control is actually a direct signal level control, not a bandpass, as a midrange control should be." 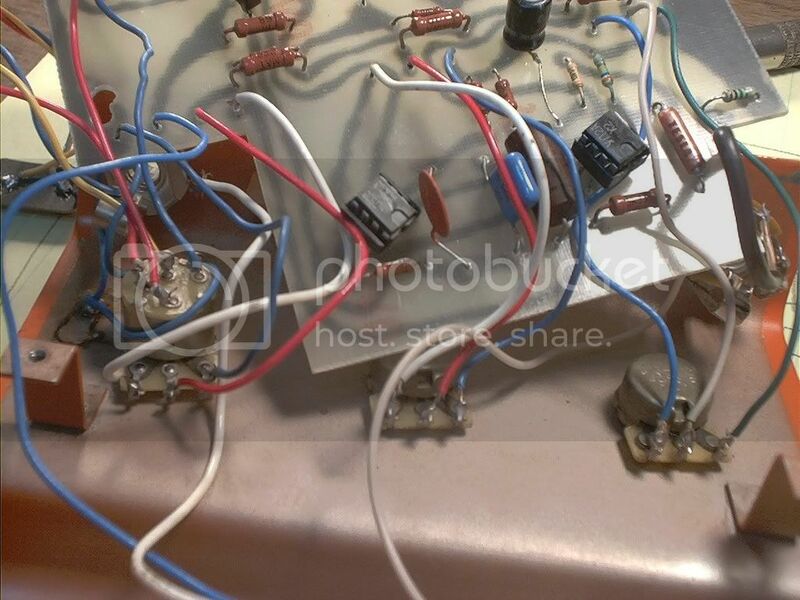 The main (only) disadvantage to this model is that the circuitry was changed to accomodate 2 4558P dual, internally compensated, high performance op-amps, which required positive and negative power supplies. This resulted in, yes, 2 nine volt batteries for operation which are switched on or off by a rear-mounted power switch. 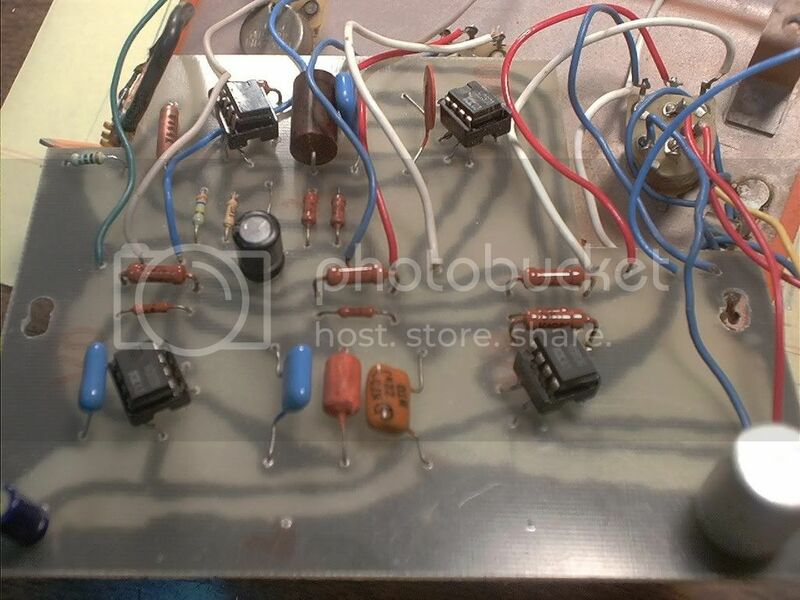 Someone has more info about this unit or even a schematic ? 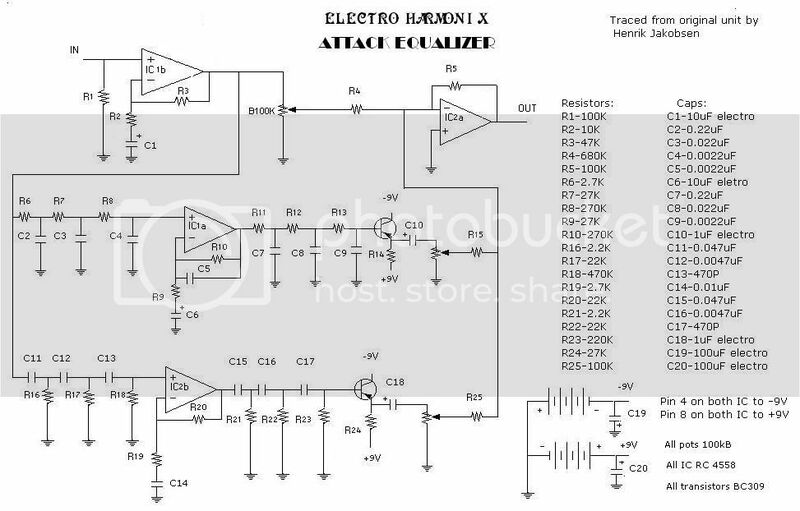 I was reading Art Thompson's book on stompboxes and I saw an old E-H Attack Equalizer in one of the pictures. Apparently it's not a new box, so maybe there's a schematic of the old one somewhere. That TESLA Attack Equalizer looks really cool! Great topic! I'm heavily interested in this circuit, also! "Makes your Gibson style guitar sound like a Fender Strat" - that's at least how they were trying to sell it. tuemmueh wrote: Great topic! I'm heavily interested in this circuit, also! "Can polish workers beat the price-dumping of chinese made pedals ?" 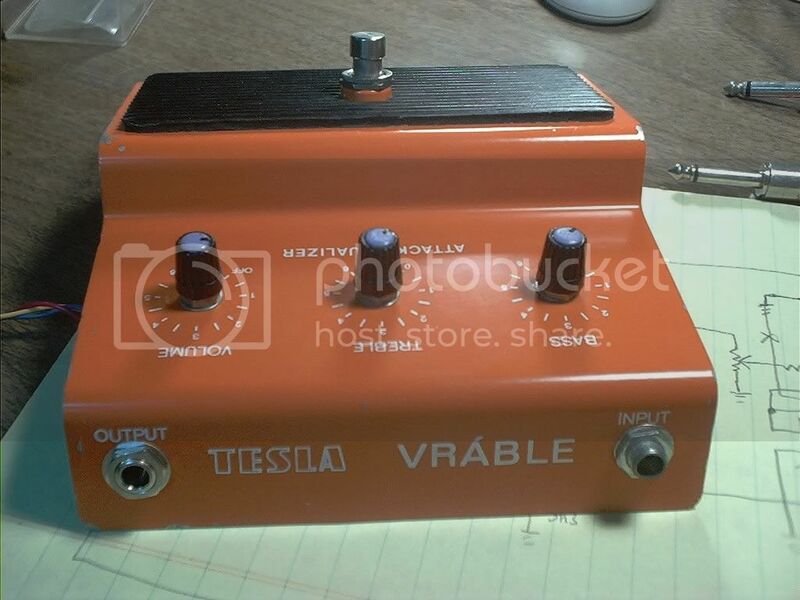 IMHO the new EH-pedals are also made in china, maybe in the same factory as MXR ? ps: have you got the KLON yet????? Here are some gut shots. I have traced the schematic and will clean it up and post it. It is different than the EH schematic above.